In this series we are looking at how repetition can create deeper and deeper layers of mastery. Last time, we looked at discipline. This time we go one level deeper, to expertise. While level 1 of DEEP mastery – discipline – is about going beyond expectations by practicing, level 2 is about becoming an expert in your specialty. When we repeat, we build skills. We learn techniques, then refine and sculpt them through repetition. This is the level where the raw talent become reliable. At this level, our repetitions throw roadblocks at us – fundamental errors, odd mistakes, anomalies – and we learn what the fixes are. Know how to manage a small team? At his level we discover how leadership is different with larger team sizes. Know how to give a speech at an intimate gathering? At this level, we learn how speaking differs for big audiences or noisy venues or when we incorporate visual aids. In my sport, it might be about learning a new catch, then discovering how different the skill feels in high winds or a confined space or when I need to make the catch off a pass from a teammate. Imagine this level as college. We choose a major, then look at that topic repeatedly from different angles. We expand our knowledge, and along the way we conquer misunderstandings, get smacked down a bit by professors when we trip up, and learn the established connections between concepts. This is the level where we use failure to make our skills rock solid. It’s where we learn the limitations off our skills, then expand and adapt them. At this level, we learn to apply our skills confidently in a wide variety of conditions. We become experts. Where might you take your expertise further? Have you put in the reps to become competent but not yet an expert? 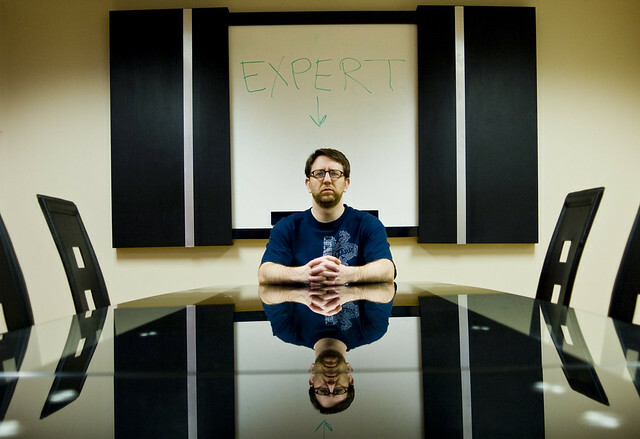 How might it change your career if you expanded your expertise? How might it impact your life outside work to take something you’re familiar with and develop mastery?